The reason this question is important is because sometimes a surgery simply doesn't make much sense. Some cases might cost you more than a new sports car – such as David having to pay $50,000 for his pet Jasper's surgery, or Mary paying over $30,000 for her dog's Emoji medical costs – thus, the question of prognosis and urgency is something you need to give a lot of thought to. Of course, there are plenty of follow-up questions you’ll want to inquire about, such as: Is it essential to improve my dog’s quality of life? What is the success rate for full recovery for animals who undergo this procedure? But the initial question of urgency is key in determining how much time you have to pull together money to pay for the treatment. 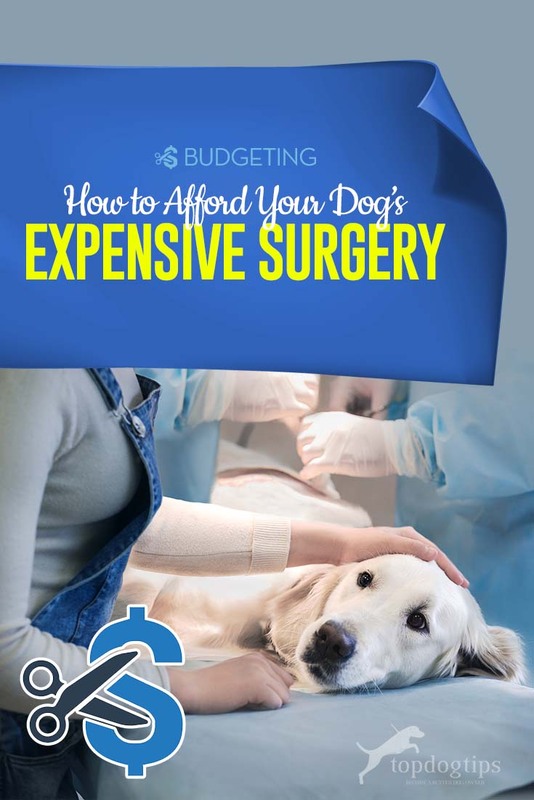 You have several options on how to afford that expensive pet surgery. 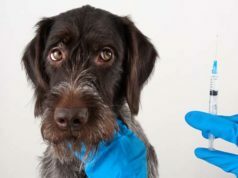 If the veterinarian assures you the surgical procedure, while necessary, is not urgent, then consider the below methods and their steps as they may help you stay out of debt and give your pet the help they need. Each method can be broken down into three simple steps and any or all of them may be utilized given the specifics of your situation. There are hundreds of non-profit organizations, canine-loving institutions, and fundraising groups (many of which we've mentioned here) that live and work to help pet owners afford costly treatments, such as physical therapy for dogs with spinal injuries or limb-loss or chemotherapy for dogs recently diagnosed with cancer. These organizations file through hundreds of applications a week and through a process of approval, agree to fully or partially fund pet care expenses for animals in need. You can find more of such organizations on this page, and here's how to successfully apply and increase your chance of receiving their help and support. If you own a popular breed, the good news is your chances for financial aid approval may have just increased based on your pet’s pedigree alone. Rescues, sanctuaries, and non-profit companies that specialize in the breeding, rescuing, and/or training of a specific breed typically accept applications for pet care loans and grants for the type of canine they cherish. If you have a full-blood breed or even a mix, for example, a Beagle-Border Collie mix, play to their strengths by typing their breed type into the search bar when researching viable fundraising groups. You may try key words and phrases such as ‘Beagle’ ‘grant’ ‘veterinary care’, and you may also prepare another key word search this time replaced ‘Beagle’ for ‘Border Collie’. You’ll be surprised of a number of organizations that are exclusively interested in helping pay for veterinarian treatments for owners of that breed. Just as there are groups that like to aid certain breeds, there are also condition-centric companies. Common maladies in canines, such as hip dysplasia, glaucoma, or dental abscesses all have organizations whose sole purpose and goal is to approve financial support for dog owners whose furry loved ones are suffering. Depending on your situation, you may search for veterinary care grants that are geared towards pet owners in financial strife. If you are in the process of transitioning into a new job, suffered an injury, or any other scenarios that can put a strain on your financial stability, there is probably an organization out there wanting to help you pay for your dog’s medical care. Your veterinarian's cooperation is likely to be requested, so it doesn’t hurt to mention to them you will be seeking financial aid through a third party. Once you’ve decided and applied for a grant, be sure to share the organization’s name with the veterinarian’s administrative staff. If they’re educated on the situation, they’re more likely to respond quickly to any inquiries from your financier and therefore move the approval process along promptly. Once you’ve researched your options, chosen an organization you believe will either partially or fully fund your case, notified your pet’s veterinarian, and gathered all the required documents, it’s time to apply. Most of these fundraising groups have efficiently-run websites which make applying relatively instant. Some may require surveys with several questions as well as some lengthy, in-depth responses from you. Typically, you may spend anywhere from 15 minutes to an hour filling out an online application or writing an email to the association. A few groups attest that applicants will know within as little as 5-7 days if their request is approved or denied. Institutions with a lot of funds may have hundreds to thousands of applicants, causing you to wait well over a week to hear back. The waiting period is truly the biggest, and possibly the only downside to this funding option. This is why it’s crucial to communicate effectively with your dog’s veterinarian to ensure the surgery they require is not time-dependent. Modern society is apt when it comes to self-starting entrepreneurship and internet-wisdom. One internet platform that has seen success in recent years is crowdfunding websites which allow individuals and/or groups the space to safely and successfully solicit users of the worldwide web for donations. GoFundMe Animal Fundraiser is one of the most popular go-to sources for pet owners seeking financial help. GoFundMe and other similar sites see pages requesting financial assistance for everything from college educations, costly honeymoons or weddings, as well as veterinary care for beloved animal companions. In fact, healthcare costs makes up a large chunk of funds raised through these platforms. Through GoFundMe alone, there was over $650 million a year raised to cover just the medical costs, which is a third of all money crowdfunded on the platform. Your efforts are best spent when being committed and staying loyal. It’s in your best interest to choose one crowdfunding website, out of the several that are available, rather than create multiple accounts and webpages on different platforms. If you create multiple profiles for your case, then it’s more likely to spread your funds thinner across than keep them concentrated. Donors are more likely to feel charitable if they see many others have donated; it makes them feel that their contribution is going toward a pragmatic cause that’s likely to result in success. In short, everyone likes a happy ending. Plus, watching that little green bar inch closer and closer to your financial goal is not only inspiring for your charitable donors to see but beneficial to you as it keeps you up to date on progress. Another way to increase donations is to include the story of you and your pet’s journey. Potential contributors want to know how you met your lovable pooch, the story of their diagnosis and your family’s heartfelt response to it. And of course – pictures! Speaking of pictures, including photos of your dog is the next important step. Family photos that include the pet help people online see what the animal means to you. You may want to avoid graphic photos that depict your dog’s illness or condition, or at least not use them as a cover photo as it could turn potential benefactors off. Another item you may choose to upload is a document showing the itemized cost of your vet’s recommended treatment plan. This helps you be transparent and trustworthy by corroborating your case. Once your cause’s page includes a monetary goal, photos, documents, and a paragraph or two explaining both your love of your dog and the importance of the surgery, you can publish the profile. Many crowdfunding websites offer seamless and easy options to automatically link the page to social media websites, such as Twitter or Facebook. It’s here that you’ll share the cause. Social media has been one of the best tools for raising awareness for these and many other animal related causes and issues. Keep yourself active: text and call your friends and family members and tell them to share it as well. The more that it’s shared, the more promoted your pet’s unfortunate situation is and the more likely you are to find the funding you need to help them. If your pet’s situation required a midnight visit to the emergency veterinarian or a sudden ailment emphasized the need for immediate action, and you don't have neither pet insurance nor a pet savings account, then you probably don’t have to time to apply and wait for grant approval or start a fundraising project either. In that case, there are still options to help you afford an expensive surgery. Veterinarians and their staff are more than willing to share with you the price lists of procedures and surgeries before they occur. Sometimes, these are automatically printed out and handed to you, and other times you need to request them. If you’re experiencing financial hardship or aren’t in a place to afford the large sum of a surgery, you should know what you’re agreeing to. If the surgery your dog needs is daunting, be honest with the veterinarian. You may tactfully express your desire to go through with the surgery since it is the best option to keep your furry family member healthy, happy, and alive for many years to come, but also express your distress over the cost. It’s likely your vet has experienced a variety of reactions from pet owners and will be more than understanding of your stressful situation, so try not to feel embarrassed or vulnerable and know that your candidness is in the best interest of the animal. It’s helpful to express what you would be able to afford that very day as many offices will require at least the initial payment upfront. For example, if the surgical procedure costs $1,500, you may choose to offer half up front and the other half next month. If this is still too expensive for your budget, offer a four month-based plan, paying $375 that day, and three more installments each month until it’s paid in full. If your vet isn’t willing to offer a lenient enough plan to your liking (such as a pay what you can or six month-based plan), then ask if they’d be willing to give you a month to pay the rest if you paid a certain amount upfront today. If they agree, this will give you the opportunity – based on how much time they allow you – to reach out to fundraising organizations or start your own utilizing a crowdfunding site (note: some veterinarian offices may offer a pay-in-cash discount). Your credit score is the much-needed gauge you need to help you determine which credit cards to apply for. Every card you apply for is recorded and can eat away at your score and so it’s in your best interest to be a discriminating applicant and only apply for cards that you’re likely to be approved for. Credit cards with low interest rates and no annual fees may only accept applicants in good credit standing so keep this in mind during your selection process. Some companies may allow a pre-approval process which gives you a sort of “trial” application that won’t count against you if you aren’t approved. Typically, individuals who hold a credit score of 720 or higher will have very little issue being approved. But drop just 20 to 30 points lower and it’s reported that just 50-60% are likely to be approved by credit card companies. Similarly to choose pet savings accounts, carefully research credit cards that are best for you and your situation, and pay attention to all the numbers. Answer questions like: Are you going to use this once and then pay it off in full? Are you going to be able to make monthly payments? How long do you expect it will take you to pay off the card? APR. The Annual Percentage Rate of a credit card is, in short, your interest rate. Average APR’s can range from 12% to 25% and are often based on your credit score, financial history, and annual income. Interest-free periods. Most credit cards have this characteristic. An interest-free period is generally an average of 30 days and is a set time period in which the lender doesn’t incur interest. Many financial advisers recommend paying off a card in full before the interest-free period ends. If you’re expecting a girthy paycheck in a month, then it may not matter if you apply for a credit card with a high interest rate, as long as you anticipate you’ll be able to pay off the balance in full before it’s interest-free period ends. Applying online is simple and take as little as 10-15 minutes. However, waiting for a physical card to be mailed to you averages 7 to 10 business days. While it isn’t common, some vet urgent care locations may offer instant-approval and use of credit cards at their administrative desks. These cards are usually pet-centric and directly related to veterinary costs, meaning they have a high borrowing limit. While this is incredibly relieving to a pet owner in a stressful situation, do be wary of the interest rates and fees that may be associated with cards such as these. They may only be ideal for dog owners who are momentarily in a bind but will have the ability to pay off the balance in full within a month or two. A prognosis tells you how likely the success rate of the surgery is. If the outcome of the surgery has a low ratio of positive outcome or a high mortality rate (due to surgical or recovery complications), you may have to make a more complicated decision than how to pay for the treatment. You may have to ask yourself if putting your ailing pet through the process is worth it for them. This is an especially topical question if your dog has been struggling for awhile and/or is older. While no pet owner wants to consider the option of putting the animal out of his or her misery, it is sometimes the kinder option.